Create names and words for you latest plastic canvas project with our plastic canvas alphabet patterns in three different styles and sizes. The PDF Version contains three complete alphabet pattern sets. © Copyright 2007 and 2011 by AOK Corral Craft and Gift Bazaar All rights reserved. Use this alphabet for adding names to projects and personalizing items. © Copyright 2007 and 2011 by AOK Corral Craft and Gift Bazaar. All rights reserved. 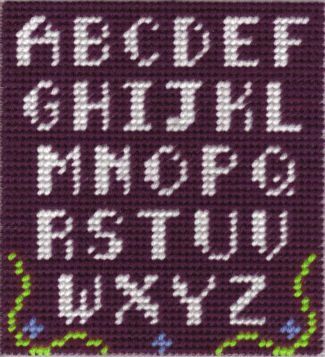 *This version includes all 3 sets of the alphabet to stitch.